Fantastic news yesterday that Australian author/illustrator Shaun Tan received an Oscar award for his short animated film “The Lost Thing”, which he collaborated with Andrew Ruhemann on. If you haven’t seen it then have a look at the trailer.The Age about Tan’s win. 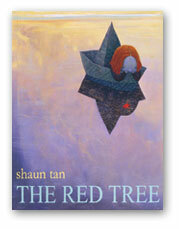 Our library has several books by Shaun Tan. You might be interested in having a look at The Lost Thing, the book Tan based his animated film on, or you might want to try Tales from Outer Suburbia, The Arrival, or The Red Tree. If you love superb artwork you’re sure to love some of these stunning books. If you’re a Visual Communications student you might find these books a great source of inspiration for your own portfolios. 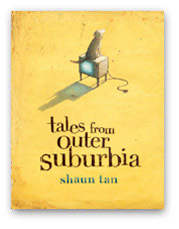 You can find out more about this talented author/illustrator at his website http://www.shauntan.net/. PS. 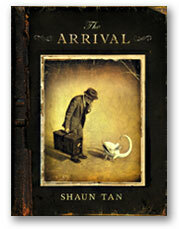 Shaun Tan was also recently awarded the Dromkeen Medal. This award is made annually to an Australian citizen for a significant contribution to the appreciation and development of children’s literature in Australia. You can read his acceptance speech at the new Books Illustrated Blog. This entry was posted in Academy Award, Books Illustrated, Dromkeen Medal, Shaun Tan, The Lost Thing. Bookmark the permalink.